Soon Mary left the library to help fix supper, but Pastor stayed. How she wished he would leave so she could lay her head on the desk and cry away some of this pain. He’d go soon, and then she could give in to her tears. She sat at her desk and wrote reminders for tomorrow. Considering her jumbled state of mind, she doubted her ability to remember anything. The sound of the door closing made her look up. He hadn’t even said good-bye. She scanned the pegs on the wall. He was in such a hurry to go, he forgot his coat. He was probably glad to go home, away from her gloomy unfriendliness. Thank God, he couldn’t see how petty she was. What a failure she’d turned out to be. A test came along, and all manner of awful things poured out of her. She wanted to go home. Sobs shook her as she released the tears and held her bowed head in her hands. God, please forgive me. Please help me. Please. “Sarah, what is it? What’s the matter?” Pastor’s alarmed voice cut through her sobs. He stood next to her desk. How could she look at him? What could she say? Why was he there? She tried to catch her breath. “I…I miss my family. I wouldn’t have cried, but I thought I was alone.” She took a few shaky breaths and kept her gaze down. “I’m all right. Don’t bother about me. I’ll be fine in a minute.” She stood and walked past him to the stacks of books. How could she let herself get to this point? She’d never be able to look him in the eyes again. Heavy silence filled the room. Sarah stood and stared at the books, mind blank, unable to remember what she should do next. She could feel his presence and squeezed her eyes shut. She couldn’t take any more. Why wouldn’t he leave? Just go or I’ll lose my mind. She waited, back stiff, head held high. “All right.” Pastor’s voice sounded sad and resigned. He must have been so disappointed in her. She heard him put on his coat. The door closed behind him. Trembling, Sarah walked back to her desk and almost tumbled onto the chair. She crossed her arms over the top of her desk and dropped her head onto them. Her heart yearned for her family and her life as it had been before. I can’t do this. I don’t have the strength. Nancy Shew Bolton is a wife of 43 years, mother of five grown sons, and grandmother to a boy and girl. She’s lived in the Finger Lakes region of upstate NY all her life. Her faith, her family and her surroundings inspire her writing. Her books explore the many depths of faith and love. 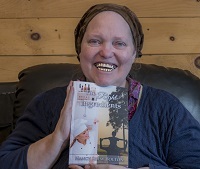 Welcome to an author friend from The Wild Rose Press. I’m a freelance journalist. I started out working as a reporter for a weekly newspaper and when I moved away I branched out on my own. But many years ago, when I was in university, I had a naïve plan to write a romance to finance a career as a ‘real’ writer. My manuscript was rejected, not surprisingly. Since then I’ve become a little more humble and maybe even a little wiser and I thought I’d give it another shot. It’s worked out much better this time. Barbara Burke’s characters fall in love with their brains, not their bodies. I like to hike and sail, which makes me sound all outdoorsy and that couldn’t be farther from the truth. Really I like to read and do cryptic crossword puzzles and drink red wine. Heads or tails? You can’t have just one side of a coin. Again, I can’t pick just one. I start off with an idea of plot and character and then see how they negotiate their way to the end of the story. I need absolute silence or I’ll start singing along (even if it’s an instrumental piece) and that can completely change the mood of what I’m writing. There is no starting point for research. I’m doing it constantly. Yes, but I’ve travelled to a lot more places that were the setting for books I’ve loved over the years. I don’t get stuck creating a story. I get stuck in the dreaded middle bit where you know where the story came from and you know where it’s going, but it seems to be spending all its time playing solitaire instead of progressing. I don’t think there were any. Everyone needs an editor. EVERYONE. Write a few lines. Check email. Write a few lines. Move the cat off the keyboard (and check email). Write a few lines. Have lunch. Write a few lines. Move the cat from in front of the computer screen (and check email). Et cetera. I have all kinds of unfinished novels and I’m a freelance journalist. I get antsy if I’m spending all my time writing fiction and I get antsy if I’m spending all my time writing non-fiction. It depends on the time of year, but generally speaking it would be somewhere with lots of history, outdoor cafes and a beach. Yes. At the moment three cats, a snake, a tankful of fish and a horse. A feeling of satisfaction at the end. I don’t write insightful or deep. I’m just trying to entertain, not enlighten. They stood silently. Slowly her hand came out of her pocket to rest on the top of his arm. The other one reached up to gently touch his cheek. He could see the glint of her eyes, those impossible brown eyes, as she gazed up at him gravely. “Are you going to kiss me?” Her cool British voice gave him no inclination of how she felt. “Is that what you want?” Guy wasn’t sure what he would do if the answer was no. She didn’t reply, and he took that for her answer. Quickly he undid the clasp on her helmet and pulled it away, letting it drop to the ground without a thought. Free of its weight, she tilted her face up, her lips dark and full in the black night, and settled more deeply into his grasp. He bent his head toward her. Her lips were soft and cold. Willing, but tentative. Her arms circled his neck, and he pulled her to him more tightly, body to body despite the thick winter clothing they both wore. The night suddenly got a lot warmer. The kiss didn’t last long. It was too sweet to be sustained, and they were too new to the sensation to change it into something more. As soon as Guy sensed Molly withdrawing, he broke it off. But he didn’t release her. And she made no move to pull away. “Was that a mistake?” he asked. Barbara Burke’s peripatetic life means she’s lived everywhere from a suburban house in a small town to a funky apartment in a big city, and from an architecturally designed estate deep in the forest to a cedar shack on the edge of the ocean. Everywhere she’s gone she’s been accompanied by her husband, her animals and her books. Forced to marry Lord Aymon to ensure her nephews survival, English Lady Laila vows undying hatred for the Norman she holds responsible for so many deaths. Discovering Aymon has committed an act of treason gives her the chance to seek vengeance he deserves. But will Laila really let Aymon die once she learns the truth? Laila heard them long before she saw them. Their angry, frenzied shouts and thunderous roars filled her ears. With her hands tied securely behind her, she was dragged up the lane toward Tyburn Gallows, where she was to be hanged for a crime she did not commit. The mob sounded blood thirsty. Large. Frightening. There was no sign of Aymon. Or Hugh. Had they left her alone to die? Her chin trembled and her nails dug into her palms. She suddenly fell to her knees and screamed until she tasted blood at the back of her throat. She kicked out and tried to crawl free as her hair was almost torn from the roots as she was pulled up and shoved along the lane. Her eyes burned with her tears. “I am innocent!” Laila screamed. They came around a corner, and that’s when she saw them. There must have been a least two thousand men, women, and children, hungry for her blood. And when they saw her, they erupted into a wild fever of roars and cries for a slow and painful death. Their thirst had been piqued, and now it must be sated. Laila was shoved into the center of the clearing. She glanced wildly around in a desperate search for Aymon’s towering, bulky frame. She could not see him. But what she could see was the Tyburn Tree. The gallows she was to be hanged from. The executioner, hooded, stood beside the tree as he waited patiently for her. Laila’s mouth suddenly went dry. Louise grew up in Australia before moving to England, where for sixteen years she soaked up the vibrancy of London and the medieval history of England. She has since returned to Australia. 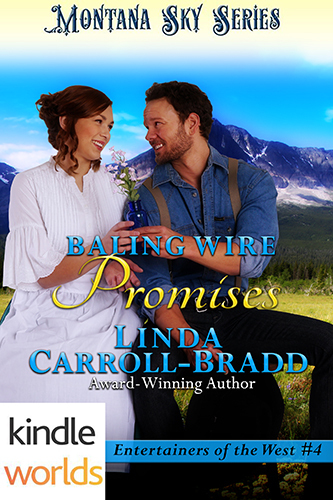 In 2013 Louise won first prize in the Crested Butte Sandy Writing Contest – Historical Romance Category –for her story, The Promise, which has since been retitled as, Of Love & Vengeance. When not writing, she can be found crawling under barbed wire and hoisting herself over twelve foot walls! Welcome today to Sharon McGregor, an author with Prism Book Group. I ‘m a prairie transplant to the West Coast, trying to run away from winter. I am moving this month to the warmest spot I can find and still live in Canada- on Vancouver Island, where I will be a block away from the beach. I grew up on a quarter-section farm on the prairies and attended a one-room country school of the sort where Maggie has come to teach in Autumn Dreams. Unlike Maggie, I have always loved horses. I’m a history buff. My favourite period is the time of the Plantagenets. I want to do some travelling if I can ever get away and I plan a trip to the UK with friends next year. I like watching my grandchildren with their sports. Any time I spend with animals is time well spent. I love horses, dogs, and my cat Zoey as well as any others that cross my path. I do about sixty percent planned and the rest freestyle. I don’t feel comfortable without a structure to work within. Then I often change things as I go and the outline goes out the window. An outline is sort-of like your reserve parachute-it’s comforting to know it’s there even if you don’t use it. I lived the location. Maggie was just a little before my time but close enough that the farm, the people the school and the families all seem to be familiar on a personal level. The first thing I try is take the dogs for a long walk. That usually clears my head and I find on my feet is the best way to think. Second best is my Lazy boy, but sometimes I goof that one up and doze off. If I am stuck for too long, I set the story aside for a couple of days and tackle something else-maybe a short story or plotting another book. Then some little thing hits you and you’re back on track with your work. 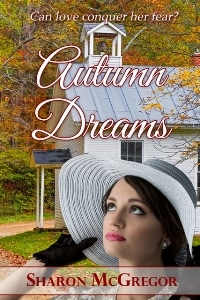 Autumn Dreams takes place on the prairies in the late 1940s. Maggie arrives at her new teaching job, to board with a family she’s prepared to like. 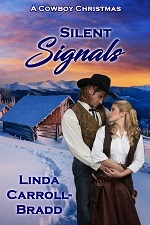 What she isn’t prepared for is her landlady’s brother Marshall who seems to hate her on sight. She is captivated by Ellen’s six year old daughter Emma who is having identity problems when faced with the arrival of a new baby. Then Ellen goes into labour in the middle of a storm and Maggie must face her fears to help. Along the way she helps a family grow closer together but what about her hopes for the future? Can she get past the wall Marshall has set up and does she really have a future here amongst the people she has grown to care for? This charming story weaves little touches of 1940s history with romance and endearment. The story is so well written, with delicate description, a great storyline and believable characters. The heroine, Maggie, not only has to adjust to a new life and job, but overcome her fear of horses and find romance along the way, a true inspiration to us all. Maggie stood in the barn doorway watching for a moment as Marshall threw forkfuls of soiled straw onto the stoneboat. It was a warm day and his shirt hung on a wooden peg on the wall. Maggie wasn’t used to seeing a man’s naked torso. When her father came home from the hardware store, he might take off his jacket and loosen his tie but that was as casual as he got. She watched in admiration as each muscle moved and realigned when Marshall lifted. She could feel an unfamiliar warmth in her own body as she watched. She knew from the way his shoulders tightened that he was aware of her presence. “Ellen says supper will be ready in a half hour,” she said. He picked up the fork again. “Do you always ask so many questions? If you want to make yourself useful, grab a fork.” His eyes travelled over her from head to toe sending a shiver down her back. “On second thought, you’d better not. Those shoes weren’t made for shovelling manure. Wouldn’t want to soil them.” He turned dismissively back to his work. She flushed as she felt her anger rise at his off-handedness. She marched past him skirting the flailing fork handle. She knew she’d seen a pair of rubber boots earlier by the corner stall. She pushed her feet out of her shoes and into the boots. A little big but they’d do. She reached for a fork hanging on the barn wall aware of his stillness as he watched her. She lifted the shorter heavier manure fork and tentatively shoved it into a pile of damp, smelly straw. As she lifted, most of it fell off but she managed to fling some of it onto the stoneboat. The second forkful went better. Marshall had turned his back but she knew by the way his shoulders moved that he was laughing at her. She flushed and was about to protest when he moved closer and said, “The short answer is I don’t dislike you.” He put one arm around her shoulder turning her to face him and leaned down to kiss her, gently at first and then with a ferocity that shook loose all her feelings for this intriguing man and replaced them with sensations she had never felt before. Warmth swept through her very essence. Just as she felt she was going to fall over the edge of a cliff he released her, swung around so quickly she couldn’t see his expression and walked out the door. When she can summon up the nerve to get on a plane she likes to visit with her son and grandchildren who are still knee deep in the prairies. 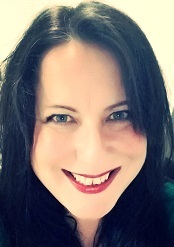 Sharon loves endings with happy resolutions which is why she enjoys writing romance. 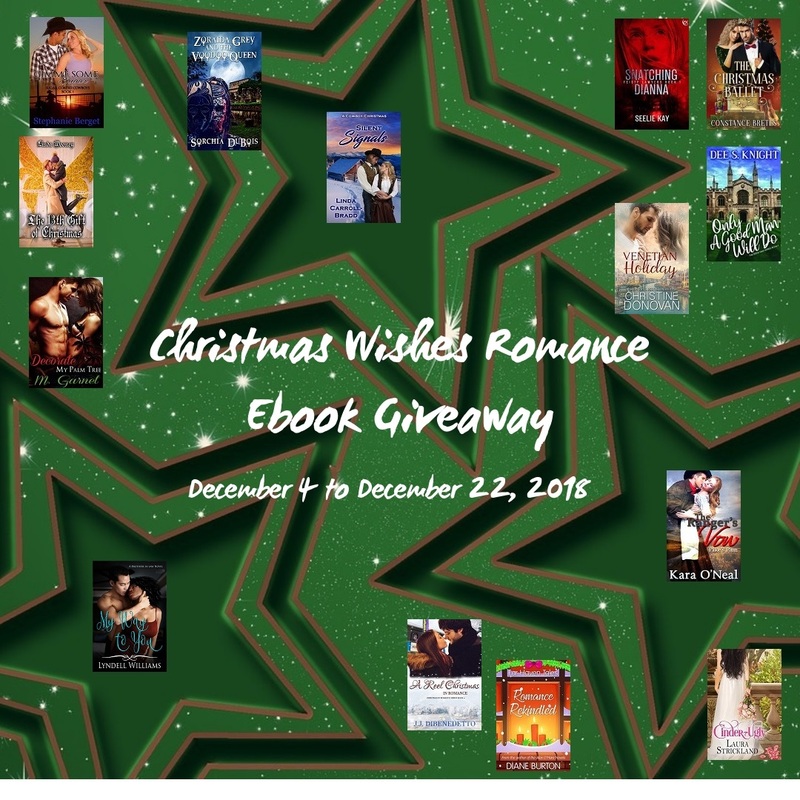 It’s a privilege to join these writers with the inclusion of my holiday novella THE RING THAT BINDS, a western historical that was released in December 2012. But that’s the great thing about historical—they don’t become outdated. In case you missed it, November 1st would be a good time to pick it up. If you already have it, consider giving it to someone as an affordable but oh-so-thoughtful gift: an early Thanksgiving gift, a birthday gift, a thank you gift or “just thinking of you” gift.